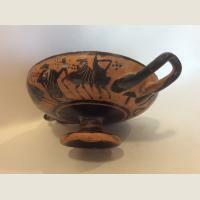 Circa 600 to 540 B.C.E. 3"H., 8-5/8" handle to handle. 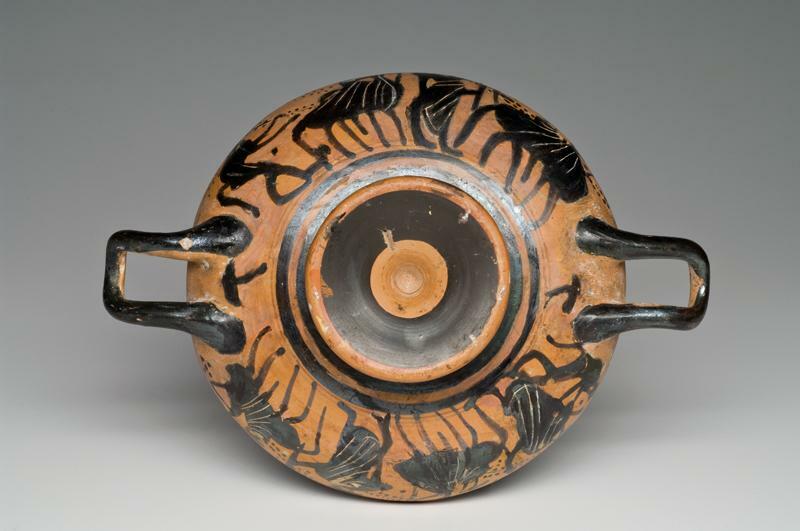 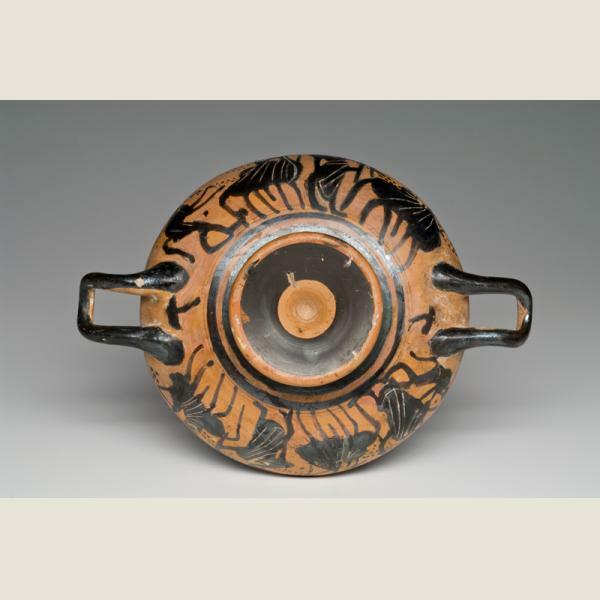 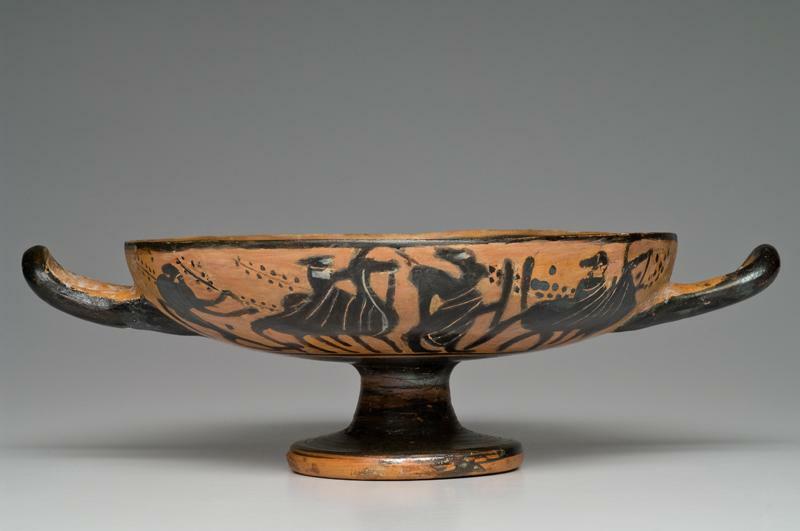 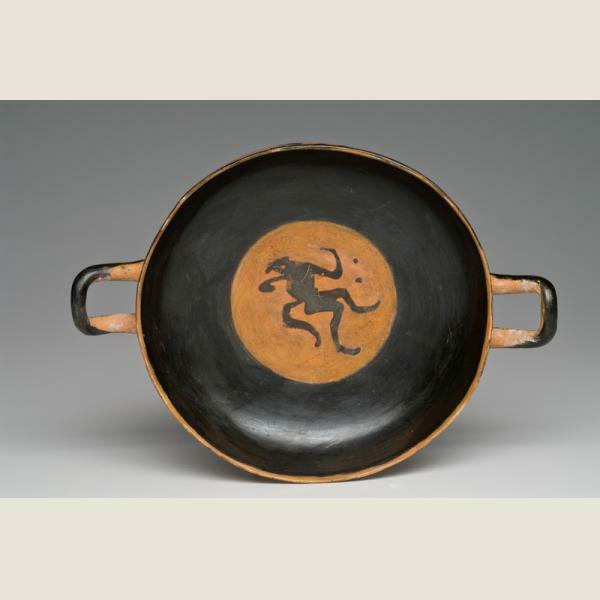 A very handsome glazed terracotta kylix having opposing applied loop handles and standing on a low pedestal foot. 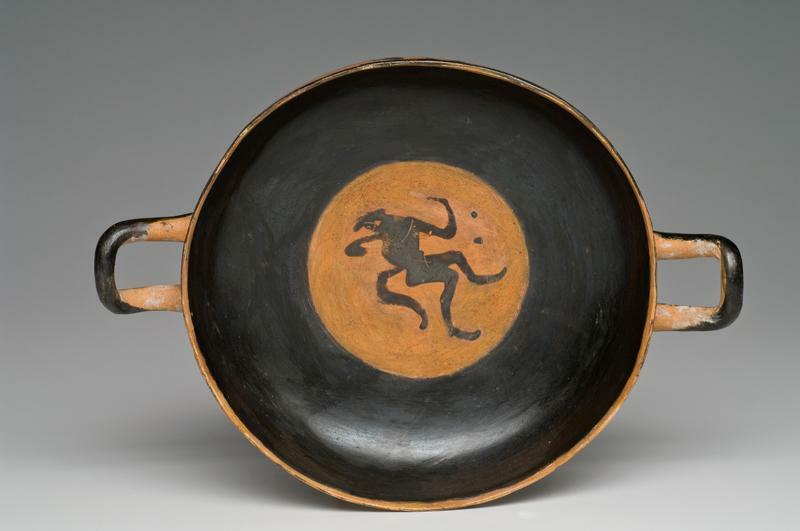 Decorated with a dancing satyr in a central roundel. 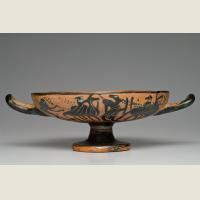 Exterior decorated with an elaborate scene painted and incised on the orange ground with two sections of standing figures, horses, satyrs and centaurs. 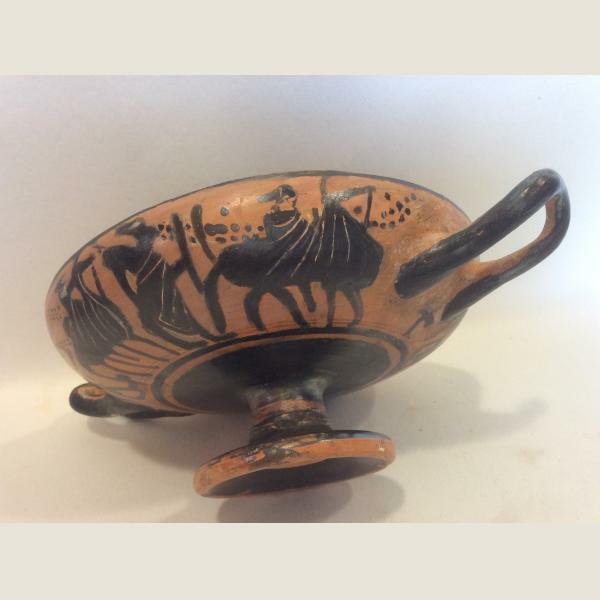 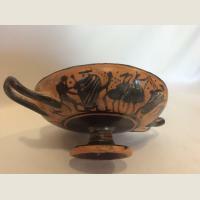 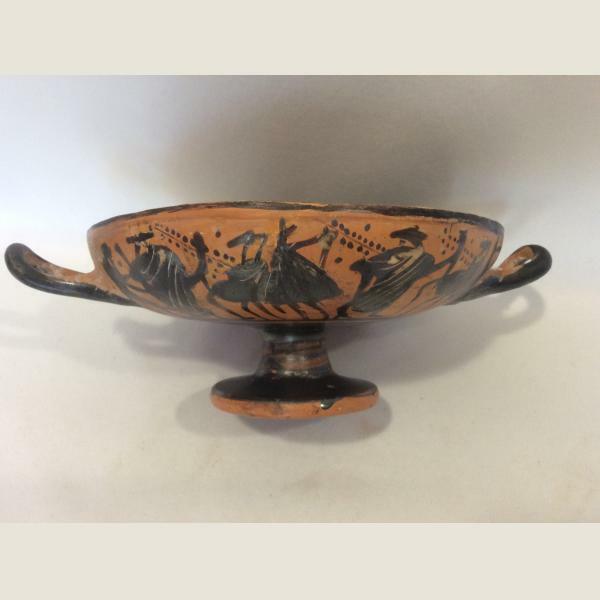 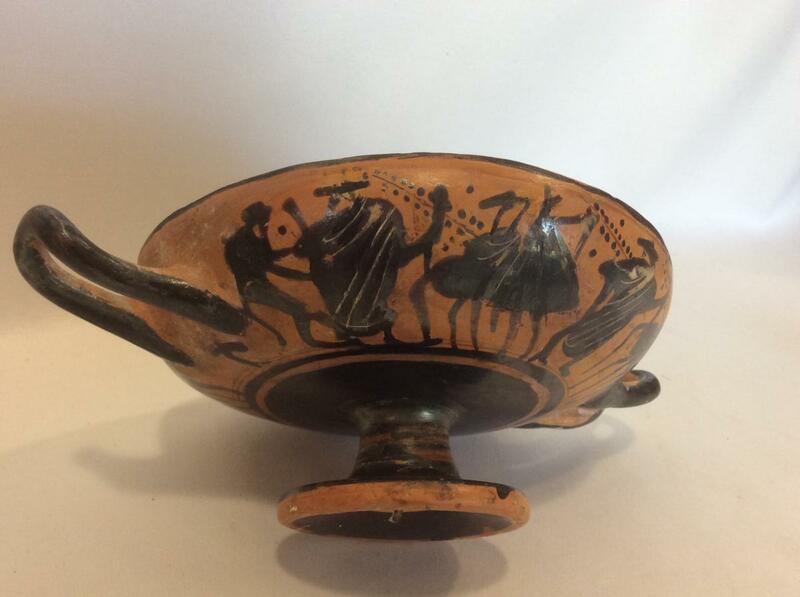 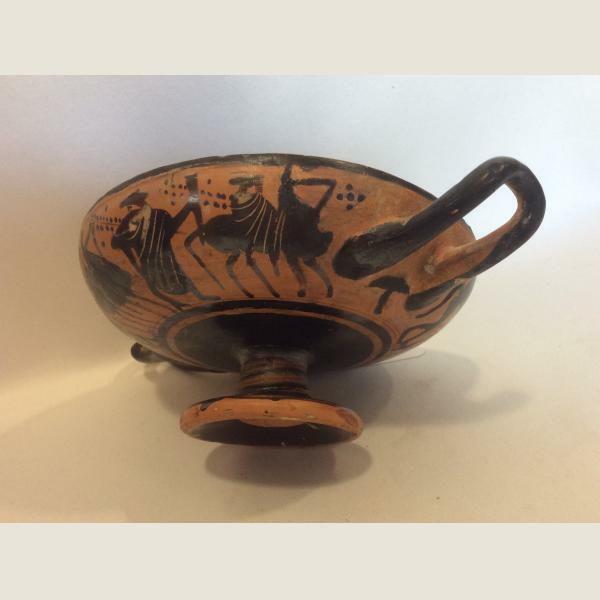 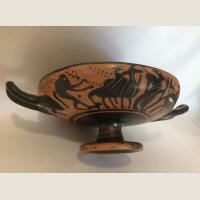 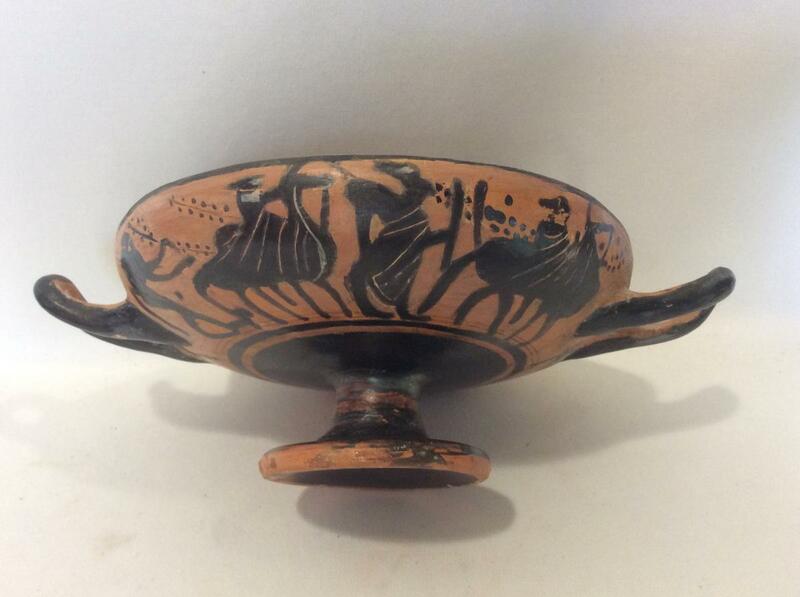 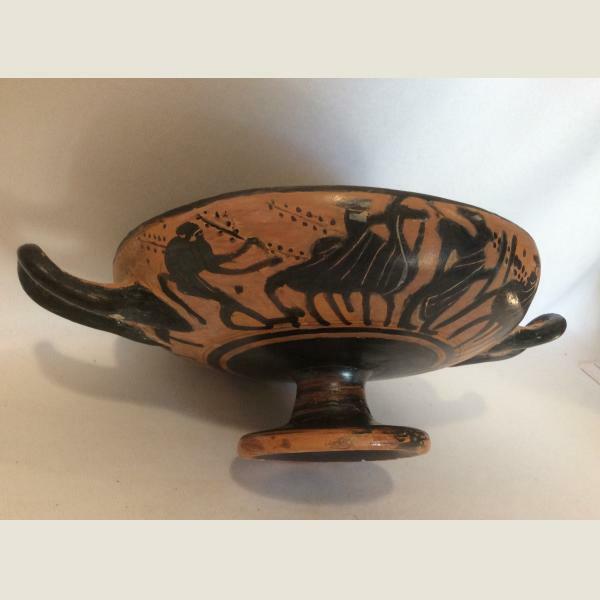 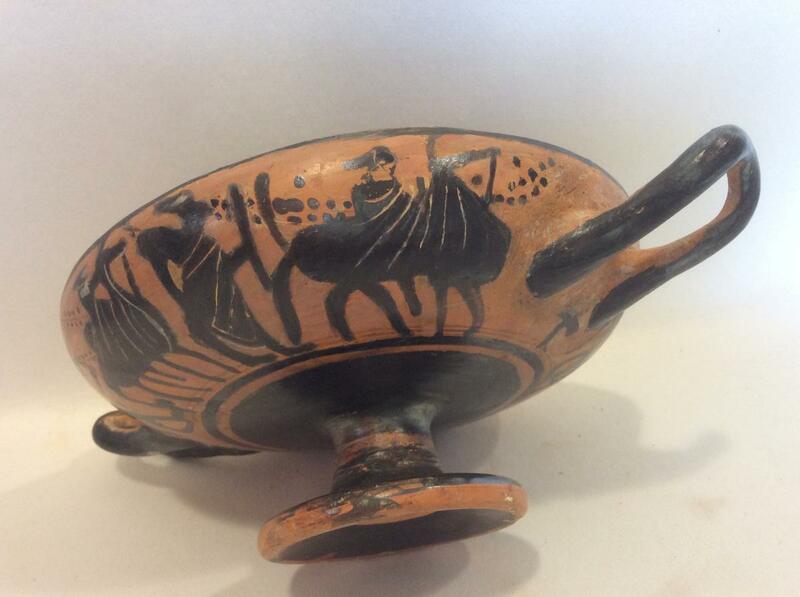 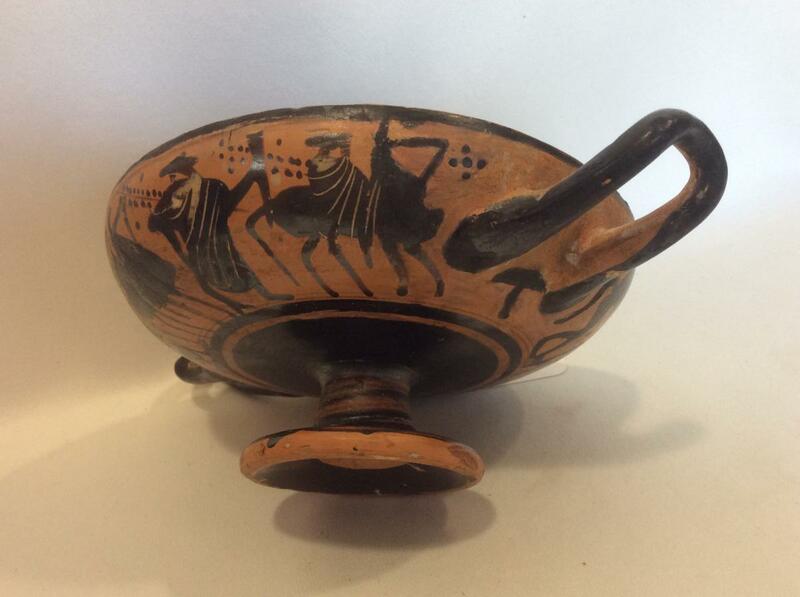 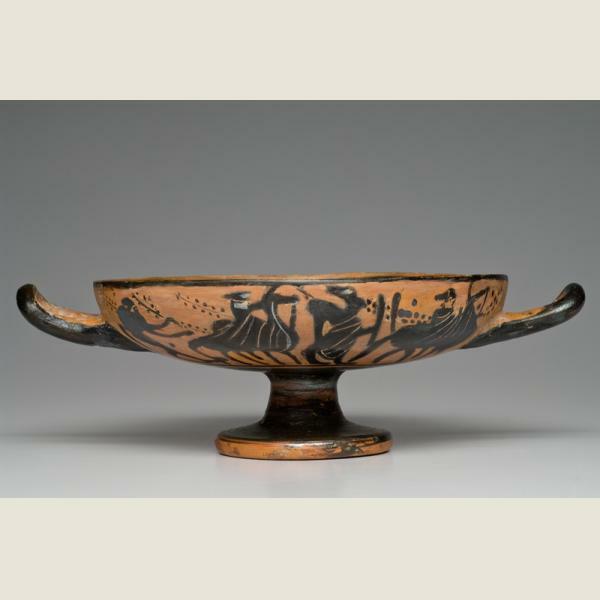 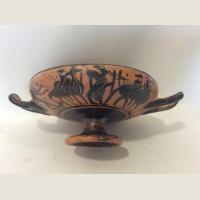 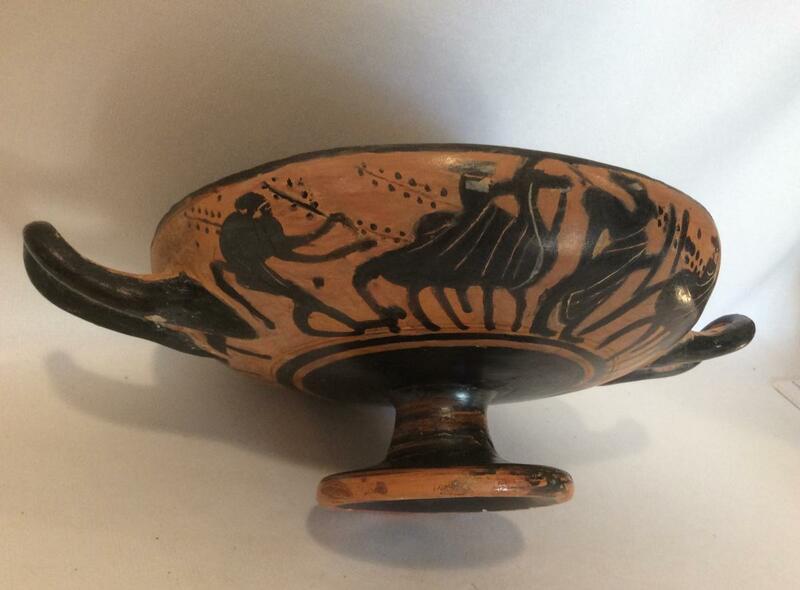 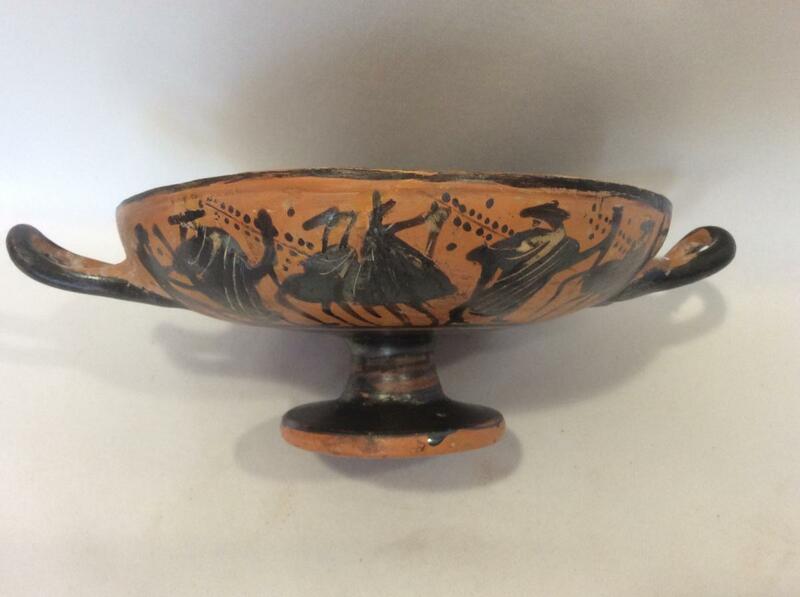 This is a rare opportunity to acquire a fine work of Attic black figure ceramic with a considerable amount of Ancient Greek art at a very reasonable price.